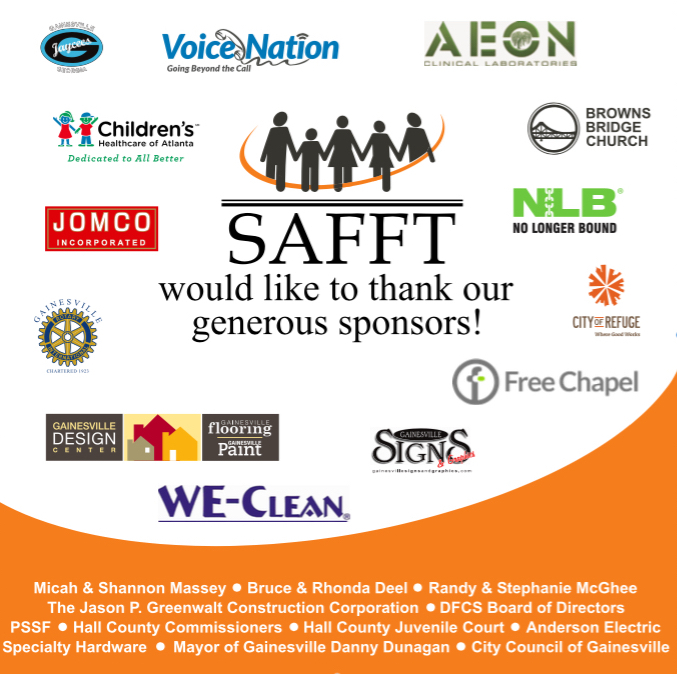 SAFFT has officially opened our new Family Life Center in the heart of Gainesville, GA serving Hall County and surrounding regions. Our new center will serve as a family crisis center for children in foster and adoptive care, as well as domestic violence victims. Services include supervised visitation, supervised custody exchanges, foster and adoptive support, parenting classes, transportation, mentoring, and critical family support services.